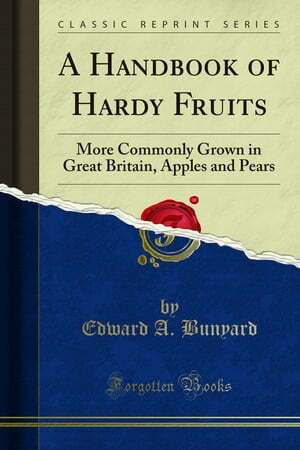 Collins Booksellers - A Handbook of Hardy Fruits by Edward A. Bunyard, 9780243782161. Buy this book online. The present volume will shortly be followed bya similar one on Stone Fruits, Peaches, Nectarines, Plums and Cherries, and completed by one containing the smaller fruits, Gooseberries, Raspberries, Currants, Nuts, etc. It was thought well to publish the Apples and Pears at once rather than wait another year or eighteen months before presenting the complete volume.